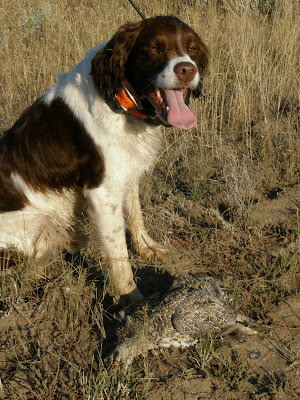 Here's the Ace-man with a Sage Grouse. Huge bird that it is- they fly well and they will hold tight for a pointing dog. Ace did a great job on this one! I'm getting the "What's the big deal?" look right here.